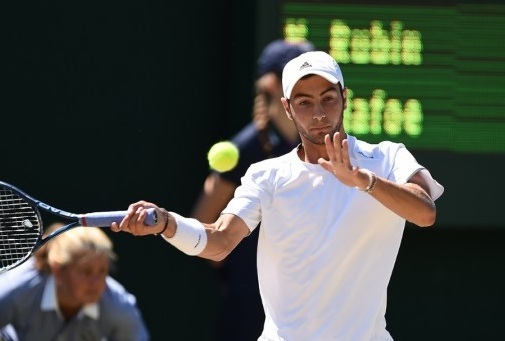 Noah Rubin earned a main draw wildcard into the US Open after winning the USTA Boys’ 18s National Championship on Sunday. The John McEnroe Tennis Academy pupil defeated defending singles champion Collin Altamirano 6-4, 6-4, 6-3 to secure his spot in the season’s final Grand Slam event. Rubin, 18, is now the first player to win the Wimbledon juniors crown and USTA Boys 18s titles in the same year since Van Winitsky in 1977. Prior to winning the singles wildcard on Sunday, Rubin also won the USTA Boys 18 National Doubles Championship on Saturday with partner Stefan Kozlov. The pairing defeated Collin Altamirano and Deiton Baughman 6-2, 6-2, which secured them a wildcard entry into the doubles main draw as well. The US Open begins Monday, Aug. 25 in Flushing Meadows, New York.